The inspiring landscape and communities of East Durham have ignited the imagination of a group of New York-based musicians, who have composed an incredible new performance. From Out a Darker Sea, created by Sō Percussion, will be performed at a special one-off live event at St John’s Church in Seaham on Thursday 18th August. Part art installation, part live music, these world class performers bring to life stories of our local area. 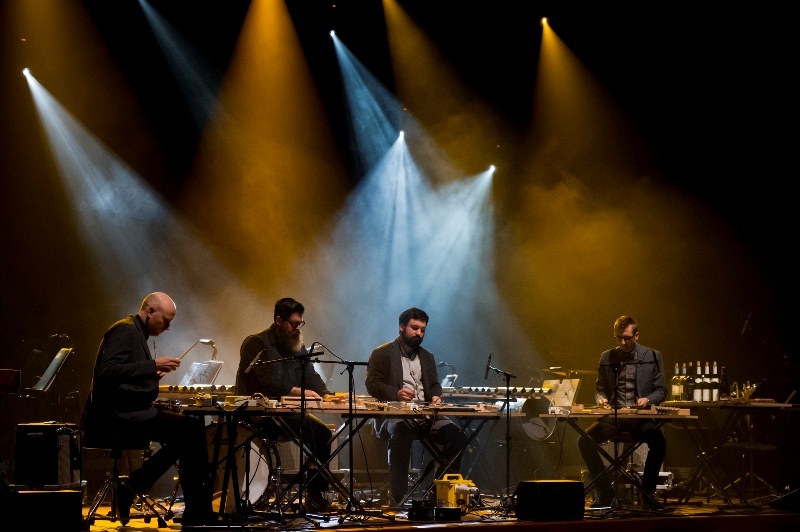 Sō Percussion is a four-piece ensemble – Eric Cha-Beach, Josh Quillen, Adam Sliwinski, and Jason Treuting – based in Brooklyn, New York, who have gained international recognition for their original compositions, percussion performances and education projects. After visiting various locations in East Durham, they’ve developed some great relationships which form the influence for this phenomenally unique experience. When people arrive at St John’s Church they will be greeted by an immersive audio-visual installation shaped by the people of East Durham and made to fit within the surroundings of the church. This will be followed by a 45 minute performance by Sō Percussion, featuring a new live score collaboration with Amber Films, Song for Billy, which has grown out of Sirkka-Liisa Konttinen’s The Coal Coast photographs. The evening will finish with a relaxed social event including drinks and nibbles, a chance to meet the creators and find out more about the project. From Out a Darker Sea takes place at St John’s Church, Seaham on Thursday 18th August with tickets on sale now.